Whether it is a sudden metallic taste in your mouth turning out to be bleeding gums or a sudden throbbing pain stealing away your sleep, emergency dental care is, hands down, irreplaceable during mishaps like this. The importance of an Emergency Dental professional is priceless to those who have been helped by them during times of need. No emergency is small, and even small mishaps should be treated with great care. It is surprising how a small accident can be aggravated to a potentially disastrous consequence due to the wrong treatment. For instance, a small toothache could result in burned and bleeding gums if the bearer of the ache puts any sort of painkiller tablet against their gum to soothe the ache. Emergencies can range from toothaches to chipped teeth, knocked out or object lodged in between them, lost crown or filling, and so on. The worst thing anyone can do is ignore them or try and fix the problem themselves. However, a host of dental problems can happen at any given moment, which is why emergency dentists operating 24/7 in all Dallas suburb area, are life savers. The beautiful city of Mesquite is an eastern suburb of Dallas, and it houses a population of approximately 143,000. If you are one of its inhabitants, you will know how high the temperature and humidity can go. In this great city of barbeque sticky sweet sauces, with roughly 43,000 (30%) of its population comprising of youth under 18, and with the passing of the 2011 beer and wine law, has turned out to be a lethal combination for oral health. A 24/7 emergency dentist service becomes all the more necessary in this great city. Luckily for you, this city houses some of the best emergency dental care services. We have especially compiled for you a few of these highly recommended professionals. Although, when things get rough, you are entitled to call 911, keeping the contacts of some of these highly regarded emergency dentists can always come in handy. Description When traveling through the Mesquite, there are many ways in which a dental emergency could quickly present itself. If you’re having a dental emergency it’s important to get help fast. Call our hotline and we’ll help you find a dentist near you fast! Yet another highly regarded group of professionals at your service. Simply visit them at 540 Clay Mathis road or call them. Creek Crossing Dental Care & Ortho. 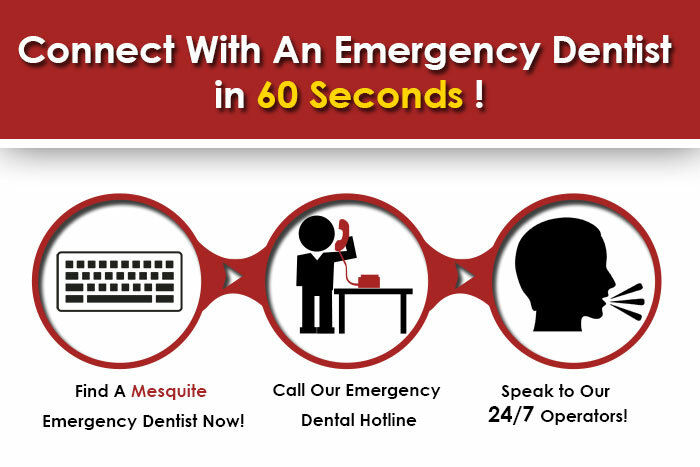 Searching for an emergency dentist in McKinney, TX?